Photos of a party known as “Beerfest” held in Kingston, Ont., gained national attention in November 2016 when they went viral on social media. The party was close to Queen’s University, in a neighbourhood known as the “University District,” which is largely home to students and employees of the university. When the photos came to the attention of BuzzFeed reporter Ishmael Daro, he knew it was an obvious story. BuzzFeed regularly covered stories about racial discrimination, and a party criticized as being racist was a natural fit. But minutes before the story’s publication, Daro and his colleagues had a choice to make: Would they blur the faces of the individuals in the photos? Although the photos had gone viral, the individuals were at a private party and didn’t necessarily consent to their online publication. The participants also appeared to be young—some may have been minors. Publishing pictures of their faces on a popular news site could permanently tarnish their reputations. For Daro, the question came down to whether the participants were old enough to be held responsible for their actions and whether they should be given the chance to move past their mistakes. Lauren Strapagiel, BuzzFeed’s social news editor at the time, was also in the newsroom with Daro. She asked whether it was the job of media organizations like BuzzFeed to protect the participants from their own bad decisions. The individuals at the party had made a deliberate choice to publicly behave the way they did. 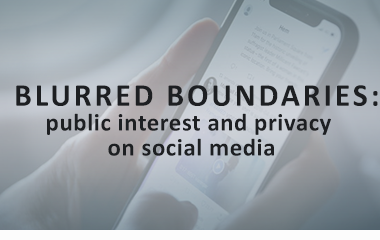 The photos were already widely available on social media with no blurring, and the individuals posing in the photos could have reasonably expected the images to go public. With no clear policy at BuzzFeed for these types of scenarios, Strapagiel and Daro had only their own ethical instincts to rely on.